In a world where ancient grains are now a popular addition to a healthy diet, there is one more natural material that is entering our lexicon. But in this case, you don’t eat it, you sleep on it. Buckwheat pillows are popping up as a recommendation for a good night’s sleep. The pillows are made with buckwheat husk which, on their own, are dry and crunchy and don’t sound at all like a good filling for a pillow. They’re popular in Japan and are making their way to the U.S.A. But who should use a buckwheat pillow, and why? The best buckwheat pillows provide firm support, lessening the stress on your neck for a more comfortable night’s sleep. If you think a buckwheat pillow is right for you, here is our buckwheat pillow review and some options for you to consider. Can you wash buckwheat pillows? The selections below are based on a combination of manufacturer data, online research and in-person testing. For more info, see the how we chose section. The Beans72 Organic Buckwheat Pillow is one of our top recommendations overall. This pillow is filled with natural buckwheat husks and gives you a chance to experience what the fuss is all about. 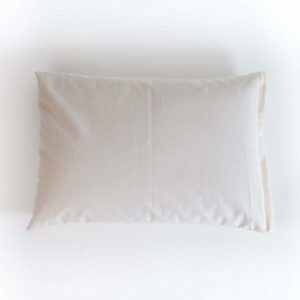 The cost of this buckwheat pillow is in the middle of the pack and it boasts the ability to help with comfort issues. These pillows can also be adjusted by removing the materials to your desired thickness. 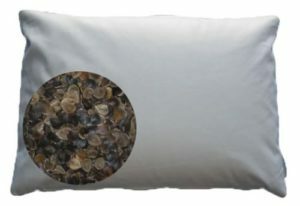 The pillow is manufactured in the U.S. and filled with U.S. grown, organic buckwheat hulls. Overall, this is our pick for the best buckwheat pillow of 2019. 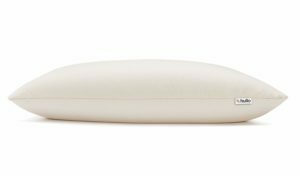 Meant to relieve pressure on your spine and neck, this buckwheat pillow from Sachi Organics has a lot of great reviews as well. 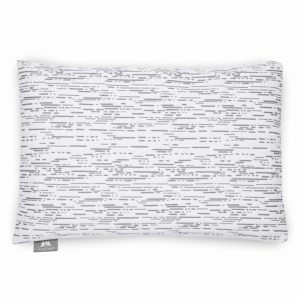 Priced in the middle of the pack, this pillow from Sachi is made with organic buckwheat hulls. The reviews for this pillow also indicate that it will last a long time with proper care, which we will get into in another section. If what you want is luxury, this pillow from Hullo comes very highly recommended by customers and industry experts alike. It’s a bit pricier than some alternatives, but features a luxurious cover made with certified organic twill, a quality hidden zipper and other high-end features. The reviewers do indicate that they were hesitant to spend this much money for a pillow but they are grateful they took that leap. Also from Beans 72 is this buckwheat pillow that also incorporates aromatherapy. 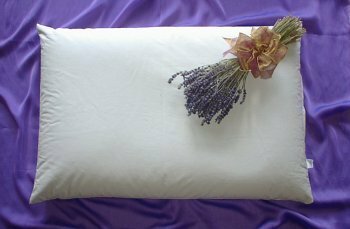 If you love the idea of falling asleep to the calming scent of lavender, then this pillow is great for you. The lavender is included in a separate sachet which can be added or removed depending on your nightly needs. The best buckwheat pillows won’t go flat and will conform to your head, neck, and shoulders night after night for a great sleep experience. This buckwheat alternative pillow is described as good for all sleeping positions and is made in Arizona. Instead of buckwheat, this pillow from PineTales uses a filling of millet hulls, another similar grain. Millet hulls are slightly smaller than buckwheat hulls, so in a pillow they allow for a slightly more smooth surface with the same solid support and comfort. These pillows also encourage air flow, which helps mitigate allergies and keeps the pillows cool. Some of the reviews indicate that these pillows take a little time to get used to when you begin to use them. But once you do, it’ll give you an unparalleled sleeping experience. Buckwheat pillows are becoming more popular, but they are still not “mainstream”. It can be difficult to find them locally at stores, so the best place to buy buckwheat pillows is typically online. In general, we find that Amazon typically has the best selection and prices. It’s important that you take care of your buckwheat pillows correctly. Follow all manufacturers suggestions. In general, you can remove the buckwheat hulls and wash the cotton cover. Some manufacturers say that you can wash the entire pillow, although we don’t recommend it. Remember, you should replace your pillows quite often, so washing just the covers should be sufficient. If you do wash the entire buckwheat pillow, this quick video explains how. What do we do to ensure our recommendations are qualified? Experience – Sleep is one of our favorite things. We understand that good sleep is a foundation for healthy living. 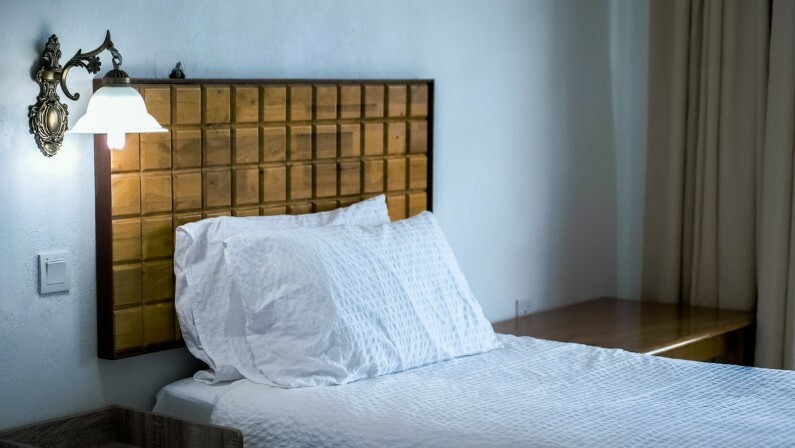 Our leader, Chris Brantner is a Certified Sleep Science Coach and he reviews all our recommendations to ensure we’re sharing only the best advice online. Chris has been featured in Forbes, Bustle, NBC News, and more demonstrating his passion for good sleep. Passion – We can help others sleep better simply by sleeping better ourselves. This is our passion: to provide information to our readers to help them get the best rest possible. Testing & Research – We conduct our research and testing in order to make our best possible recommendations. We do first-hand testing, review third-party resources, and read verified customer reviews to gather our data. Price – We try to offer a variety of price ranges for buckwheat pillows so you can make it fit your budget. Reviews – We read the verified customer reviews and determine what it is people like and don’t like about these pillows. Quality – We also take a look at the manufacturer standards to ensure we’re making the best choices in regard to buckwheat pillow quality.